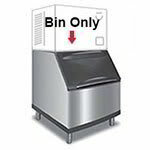 The Kold-Draft GTX564LHK X-Series half-cube ice machine has a stainless steel construction that resists stains and dents. 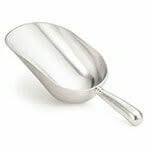 It can produce 593 pounds of half-cube ice, which is perfect for soft and mixed drinks but melts too quickly for alcoholic drinks that are sipped slowly. 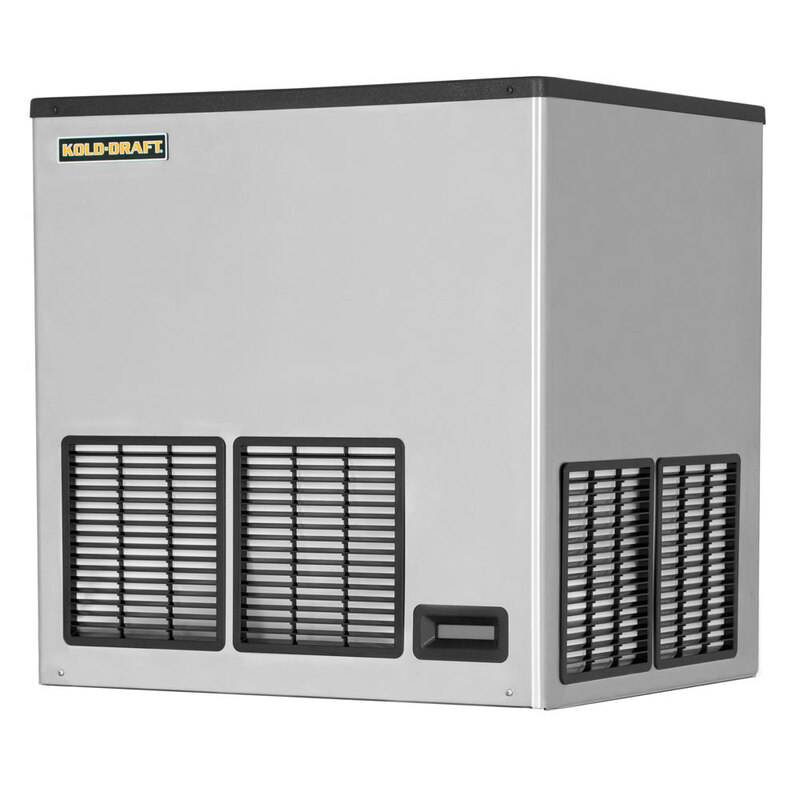 It has a self-contained, water-cooled condenser that removes heat from the unit and brings R404A refrigerant to a cool temperature. 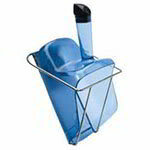 Its rounded corners facilitate cleaning, and its plastic top and louvers are removable. An LCD display shows staff members the operating status. To save space, this unit can be stacked with other X-Series machines. For clear ice, the Kold-Draft GTX564LHK half-cube ice maker has a horizontal evaporator that sits upside down on a molded water plate. Each individual compartment is filled with water from the outside in, eliminating impurities and debris. 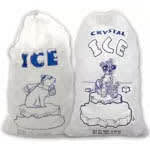 A liquid regulator valve controls coolant flow and discharge pressure, and to minimize overflow, a probe senses how much ice is made and stops production when the bin is full. 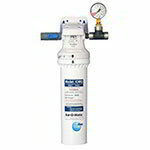 This machine requires a 4-inch left, 8-inch right and back, and 6-inch top clearance to accommodate utility connections and ventilation. 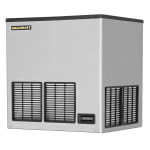 Visit our ice machine buyers' guide to learn more about these units.